Christmas is incomplete without wine. Wine is so tasty itself, but spiced wine is just on the next level. Spiced wine is that version of wine which is heated to the perfect temperature and served warm, with added spices. Spiced wine is just not tasty but it has some amazing health benefits too. Spiced wine is great as it is mostly made from red wine. You already know that Red wine is loaded with anti-oxidants works to keep your blood pressure in control. Red wine with spices, has amazing health benefits and works as a good home remedy to fight cold and other respiratory disorders. Spiced wine s also keeps your brain sharp keeping you mentally fit. 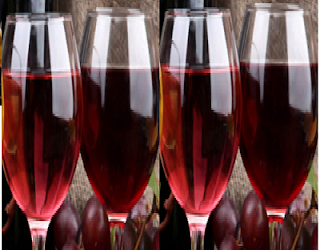 As per research red wine, when consumed in moderation, helps to fight different kinds of cancer. Planning on getting yourself a wine bottle? Check out these delicious spiced wine recipes! In a thick bottomed pan on a slow flame add the wine, Orange juice, honey and Apple cider and stir all ingredients well. Now add all the spices and keep stirring it till the wine mixture becomes warm. Keep the flame very slow. Now slowly add the brandy to the wine mix and keep stirring everything till everything blends well. Simmer the mixture for a few minutes. Pour this spiced wine into wine glasses or mugs using a sieve. Garnish this spiced wine with some lemon zest and cinnamon sticks. In a thick bottomed pan add the juice of fresh orange. Now Add all the spices, sugar and lemon peel. Add in the wine almost to cover the sugar and let this mixture heat on a low flame till the sugar melts. Keep stirring this mixture continuously. Now Increase the temperature and heat this mixture on a high flame till it becomes thick. Now lower the heat and slowly add the rest of the wine. Now finally add the ginger wine and blend it in. Simmer the wine for a bit and turn off the flame. Your Traditional British Slow Cooked Spiced Wine is ready! Garnish it with orange slices and serve. Pour the wine in a large saucepan and keep it on a slow flame. Now add the sugar to thee wine. Once the sugar starts to melt, add in the spices and the lemon and orange zest and stir the mixture continuously. Keep heating the mixture for 20 minutes till the wine picks the flavours from the spices. Now slowly add the kirsch or brandy to the wine mix. Turn off the flame and let the wine Infuse the flavours for an hour. Now slightly reheat the wine and Pass it through a sieve and serve it hot. In a thick bottomed pan pour in the orange juice and add the red and the white wines to it. Mix the two well with the juice. Now keep the pan on a low flame and stir continuously. Add the spices and sugar to the wine mix and keep stirring till the sugar melts. Now cover the pan and let the wine simmer for sometime. Make sure not to let the wine mixture boil. Let the wine absorb all the flavours of the spices and take it off the flame. Pass this wine through a muslin cloth and serve it hot. In a thick saucepan let the water heat on moderate flame. Now to this water add in all the spices and let the water boil. Once the water gets the flavours of the spices, drain this water into another saucepan. Now on a slow flame, add the wine and sugar to the saucepan. Keep it on a low flame and bring the mixture to a boil. After the first boil, turn off the flame and serve the wine hot. In a large thick saucepan, pour the wine. To this wine add the spices and keep the saucepan on a low flame. Now add the sugar to the wine mix and once the sugar melts and flavor from the spices is extracted. Now add the vanilla pod to the mixture. Heat this wine mixture for a few minutes and finally add a little rum and heat it for another minute. Now turn the flame off and pour the wine into glasses. Garnish this wine with a slice of orange and some cherries and serve it warm. Take a heavy bottomed pan and to it add a cup of water and orange juice and keep it on a low flame. Now add all the spices and let the water absorb all the flavours from the spices. Heat this mixture till it boils. Now drain this mixture and separate the spices. Now Keep the pan on low flame and to it add the spiced orange mixture. Now to this mixture add the non-alcoholic wine and blend it well and heat this wine for 3-4 minutes on low flame. Make sure not to boil the mixture. Let this spiced wine cool a bit and serve it warm.